"You're no captain, and that's no ship." 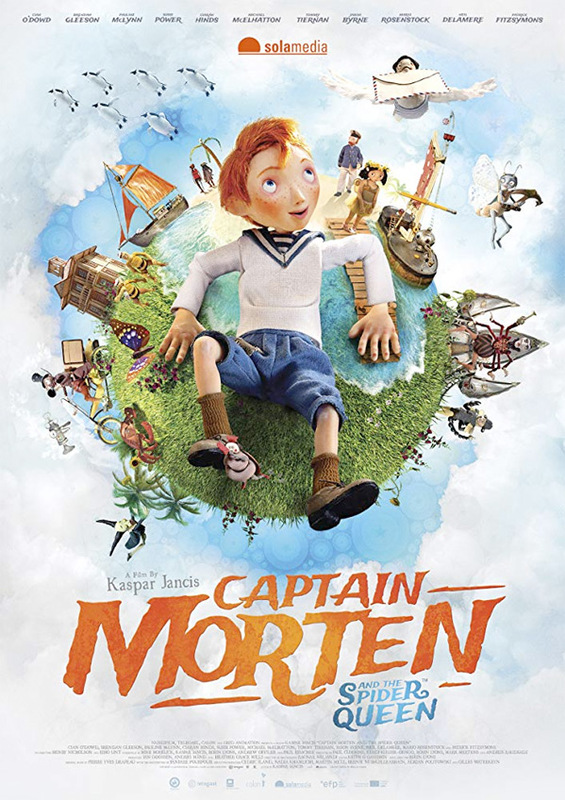 The Orchard has released the official US trailer for a stop-motion animated film titled Captain Morten and the Spider Queen, which is actually more of a kids fairy tale despite that ominous title. This premiered at the Annecy Film Festival last year, and is getting a direct-to-VOD release in the US in February. The film is about a ten year old boy who is waiting for his sailor father to return home. He accidentally floods a cafe and is magically shrunk down to the size of an insect, where he must find a way to sail his toy boat and outsmart the other insects in order to save the day. Featuring the voices of Michael McElhatton, Ciarán Hinds, Brendan Gleeson, and Susie Power. It's a very goofy film, with some seriously creepy character design. A bit too weird to be enjoyable but might entice a viewers. A young boy learns to take control over his life when he is shrunk to the size of an insect and has to sail his own toy boat through a flooded café to save the day. Morten has to be shrunk down before he can learn to grow up. Captain Morten and the Spider Queen is directed by filmmaker Kaspar Jancis (an Estonian composer, and director of Frank & Wendy), and co-directed by Henry Nicholson (animator making his directorial debut) & Riho Unt (Urpo & Turpo 2). The screenplay is co-written by Mike Horelick and Kaspar Jancis. This premiered at Animafest Zagreb and the Annecy Film Festival last year. The Orchard will release Captain Morten and the Spider Queen direct-to-VOD starting February 19th, 2019 next month. Curious?